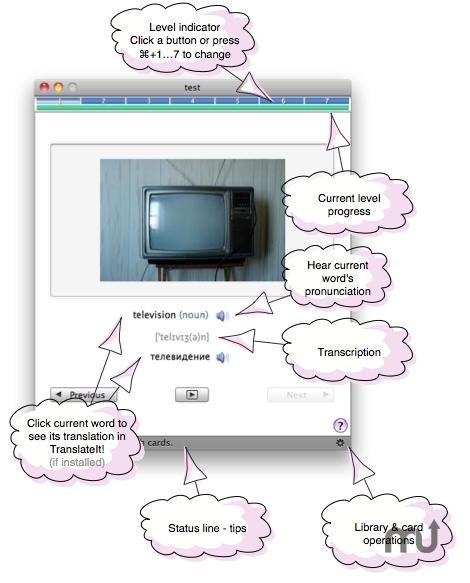 Is there a better alternative to TranslateIt! Teacher? Is TranslateIt! Teacher really the best app in Language category? Will TranslateIt! Teacher work good on macOS 10.13.4? TranslateIt! Teacher allows you to dramatically increase your foreign language vocabulary and improve your skills in reading, writing and listening. Seven difficulty levels are specially designed to push your brain to its limits with various combinations of reading, writing, listening and visual associations. Internet connection required to get online pronunciation when no local sounds found. TranslateIt! Teacher needs a review. Be the first to review this app and get the discussion started! Built-in library builder is included, so you can create your own collections and share them with your friends. You can learn your cards in either the direct or reverse mode. Your vocabulary is the key to successful learning of foreign languages!